Liberty’s Secrets are not really secrets at all, at least they weren’t . They are what Americans once called common sense. Unfortunately, what was once common is now uncommon. In steps Joshua Charles, a young writer with an encyclopedic knowledge of America’ founding. In his forward, Dennis Prager says this book has the makings of a classic and well it should. Joshua goes to great lengths to layout why the founders did what they did and the great amount of thought they put into the Constitution. Scholars of world renown, the founders knew history and knew it well. In so much was humanly possible, they sought to create a nation that would endure. They were fully aware of the precedent for the world they were setting, and gave it their all. What came out of it was simply astounding. Their work, and the advice they gave to future generations has been largely lost, at least until now. 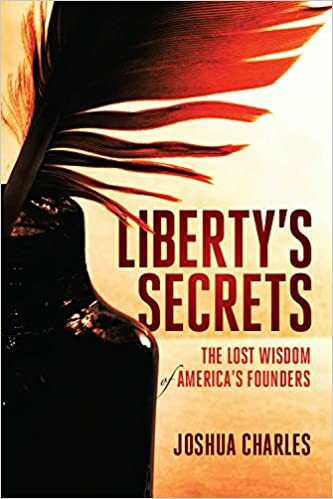 Liberty’s Secrets need not be a secret anymore.